The real estate market has been one among the top topics in 2018, and by all means will continue in 2019. When it comes to new property launch, Fourth Avenue Residences is something that is still trendy in the real estate world. 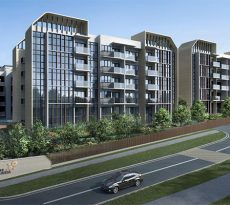 The project was developed by Allgreen Properties Limited, Singapore’s leading property developer. The Fourth Avenue Residences are placed next to Sixth-Avenue M.R.T Station of the Downtown M.R.T Line. The location is perfect since the locals will fancy the direct-covered linkway to Sixth Avenue M.R.T Station, and also as in the district of the top schools. The public is still fascinated with this new project launch, so why not make a short review about it? What is so special about the Fourth Avenue Residences? Read on to find out. 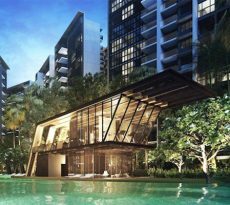 We mentioned before that Fourth Avenue Residences has been developed by the best property developer in Singapore, which is a part of Robert Kuok’s group of businesses. Allgreen was incorporated in the year of 1986 and was listed in the Singapore Stock-Exchange in May in 1999. After that, it became a part of the Kouk’s group, and it was delisted in August 2011. Today, this is the largest property developer groups in Singapore with a reputation for quality and track record for its powerful take-up rate for its projects. Robert Kuok – the owner of the Kouk’s group, is the richest businessman and investor in Malaysia and according to Forbes, his net worth is estimated in 14.8 billion in March last year. Now, the area on which the Fourth Avenue Residences is built was under a reserve list of the first half of 2017 Government Land-Sales. It was triggered with a minimum bid of $448.8 million. This is a plot of 18,532.2 square meters (199,480.6 square feet) and is also a collection 476 homes settled and surrounded by lush greenery and Good-Class Bungalow Areas in Prime-District 10. One notable thing about the residence is the charming neighbourhood which has the most beautiful parks in the city. One of them is the highest-hill in Singapore, Bukit Timah Nature Reserve, a perfect place for all the green activists who would love to go hiking in the tropical-canopy. Also, if you need a recreation, this place offers awesome choices in the recreation activities, such as horse-riding for all the horse-lovers. You can visit the Bukit Timah Saddle-Club, which houses more than 23 horses and ponies. There is a place for all the horticulture lovers as well at the Botanic Gardens, which is a UNESCO World-Heritage Site. This is accessible right from Bukit Timah, which possesses thousands of plant spices. Another great think about this very area is that it has prestigious schools like Nanyang Girls’-School, the Hwa Chong-Institution and the Methodist Girls’-School, which makes it perfect for children as well. 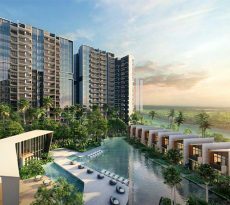 Not to forget, the Avenue Residences’ location is a heaven for all the shopaholics since it is close to Shopping Malls such as Sixth-Avenue Centre and the Guthrie House. The residences are built for all the people who would like to live in style. It has profusion of 5-star facilities in its area. The best part about that is that they are composed of swimming pools, tennis courts, lap pools, playground, gymnasiums, clubhouse, and BBQ pit areas. The lap pools, as well as the swimming pools are not only wide, but also their water is clear all the time. For those who wish to take up their hoby, there is the tennis court, and for all the people who’d like to gather with their family and friends – here is the BBQ pit. You can gather for cosy weekends, as this is a great resort which can provide you entertainment and let you bond over food. For all the sports people, there are gymnasiums with high-quality equipment to satisfy all kinds of people who enjoy exercising – from beginners all to fitness professionals. In the Fourth Avenue Residences, people should expect none other than designer fittings. A whole new level of sophistication which will satisfy every single need of yours ought to be expected from this place. If we are thinking location wise, this is one of the best places you can find a new housing launch – it has everything you want and need. 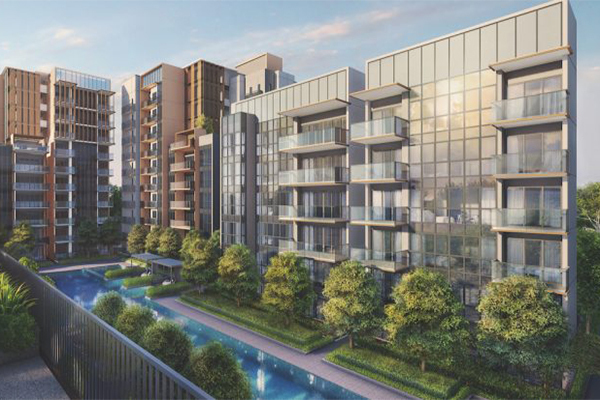 When it comes to the price, the indicative launch prices for 1 bedroom starts from $1,050,000. The price for 2 bedroom is a bit higher – $1,506,000,or if you are interested for a condo with 4 bedroom and a study, the initial price would be around $3,387,000. For those who are interested in buying, we would recommend to use iCompareLoan mortgage broker. This is a website where you can compare mortgage loan Singapore, calculate and find the best loan packages for your new property. We truly hope you will enjoy your new home! Good Luck!